The Form One selection of this year’s KCPE candidates has left quite a number of students disappointed after failing to gain admission to their dream schools. Among them is Benson Njenga, who scored 431 marks and had hopes of joining Alliance High School. He was instead admitted to St Patrick’s High School in Iten, Elgeyo-Marakwet County. “I am very disappointed that after working so hard for eight years to join my dream school they have decided to offer me a place at St Patrick Iten High School, yet it was not my first choice,” said Njenga, who was a candidate at Familia Takatifu Primary School in Rumuruti, Laikipia County. “I have always dreamt of joining Alliance High School because it is among the best schools in the country and it has a long history of performing well,” he told the Nation. Meanwhile, Taita Taveta County top performing student, Jane Mutua, will be joining Pangani Girls High School in Nairobi and not Kenya High School as she had hoped after scoring 430 marks. “I am very disappointed and demoralised because that was not my choice of school,” she said, adding that she considers Pangani less competitive than Kenya High. Another student who is not happy about joining Pangani against her wish is Martina Abiona, who scored 421 marks and expected to join Alliance Girls High School. “I wish I could join another school,” she said. Also disappointed is Ezra Mogambi, who scored 431 marks at Radiance Academy in Nakuru and wanted to join Alliance High School but will be going to Kapsabet Boys High School instead. “I feel I would be better placed to compete at the giant school but I’m not sure about the school that I have been selected to join,” said the 14-year-old. His schoolmate, Mercy Kang’ethe, scored 400 marks and was hoping to join Pangani Girls High School in Nairobi but was selected to join Kolanya Girls in Busia County. “I am not comfortable joining the school since it was not among my choices. I cannot imagine covering hundreds of kilometres from home to school. I have neither heard of the school nor been to the area,” she lamented. But Cliff Paul has taken things in his stride after receiving an admission letter to Maseno School. He had his eyes set on Starehe Boys Centre after scoring 421 marks. “I don’t regret it because Maseno is also a good school,” he said. The form one selection has been faulted Kenya National Union of Teachers (Knut) Mombasa Executive Secretary Dan Aloo who said it was not free and fair, and that it favoured pupils from the rich families. “We expected all players to be involved in the selection to monitor the process. How did they ensure that students in public schools were given priority over those from private schools? They cannot be given equal shares. A Turkana pupil cannot be compared to one in Mombasa. They should start with the most needy, special needs, public schools then private schools,” said Mr Aloo. 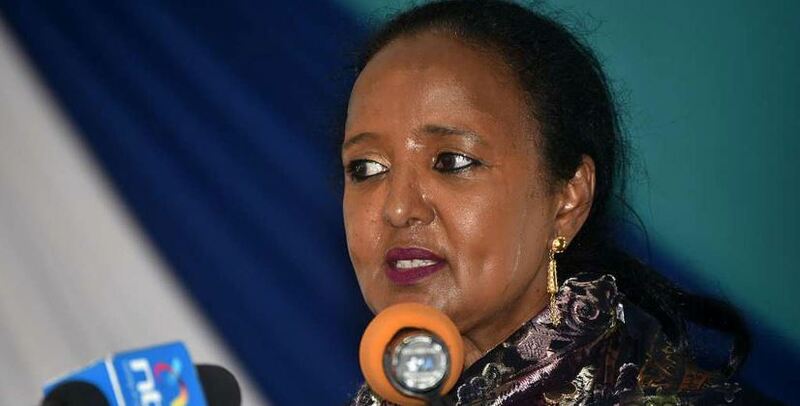 However, Education Cabinet Secretary Amina Mohamed defended the selection saying the Ministry used fair and accurate criteria. “All candidates had an equal chance of getting selected to their preferred schools based on merit, equity, choice and affirmative action. More fundamentally, the Ministry worked to ensure 100 percent transition from primary to secondary education in order to give meaning to free and compulsory basic education,” said Ms Mohamed.